Cities Could Triple In Size By 2030 – Is Urbanization A Good Thing? Without a doubt, an increasing global population puts a huge strain on the Earth and its natural resources. With an estimated 9 billion human inhabitants by 2050, we need to look closely at how we’re going to feed the future population and how to avoid irreversible environmental damage in the process. But as Karen Seto and her colleagues argue in a recent study in Proceedings og the National Academy of Sciences, one of the most pertinent questions to ask is: where will these people be located? A look at the recent trends in demographics and migration reveals that the vast majority of earth’s inhabitants will be living in cities. But this massive urbanization trend has huge implications for the natural environment if left unchecked. 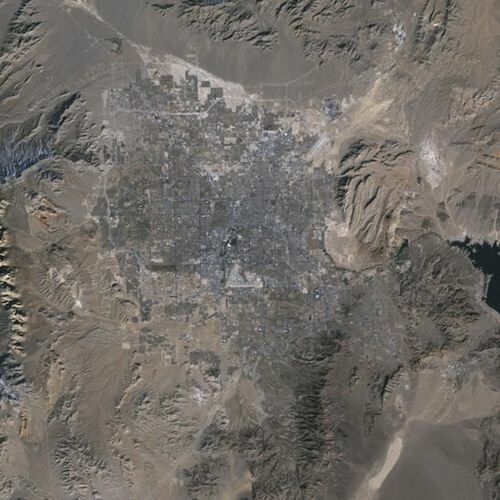 Las Vegas in 1984. 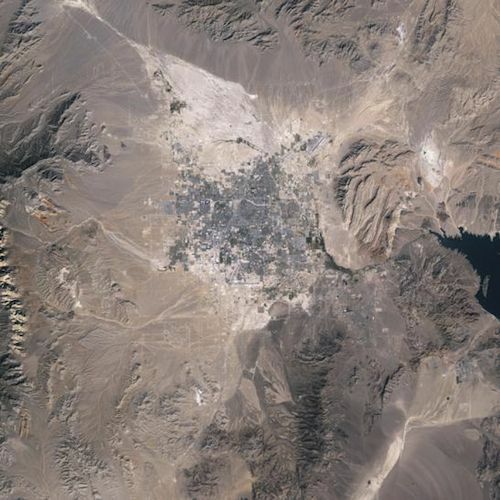 Compare it with Las Vegas in 2009 (feature image above). Through a comprehensive analysis of the land cover on earth, Seto et al. categorized land parcels in terms of their probability of citification over the next few decades. They determined that 1.2 million square kilometers of land have a high probability (over 75%) of becoming citified. This means that the urban hinterlands of the world could triple in size by 2030. But the expansion of cities has huge implications for the environment. Land that was previously home to diverse plant and animal life would be eradicated. Not only would this negatively affect biodiversity, it would exacerbate climate change, by destroying trees and plants that would otherwise remove CO2 from the atmosphere. Seto examined several places in the world where urbanization will be most pronounced. In particular, they highlighted developing countries such as China and India as the host of rapid urban expansion. Such trends are unsurprising given the massive development occurring in these regions. As China and India’s huge population shift to consumption, so too will the cities in these country’s expand. Even parts of Africa (e.g. West Africa, Kenya, Rwanda) will see fast urban expansion over the coming decades. One of the biggest concerns with urbanization in the future is its expansive nature. That is, as people increasingly go to cities for economic prospects, urban growth will expand outward thus taking up land that was the host of diverse wildlife. But not all urbanization is negative. In particular, urbanization that is focused around densification is a smarter trajectory of growth with far less impacts on the environment. Densification would mean building cities upwards rather than outwards. Concentrating people around urban cores would allow for the more efficient distribution of goods and services and allow people to embrace more sustainable transportation options. In addition, it would not require as much encroachment on the natural environment. And although living in denser urban environments may not be so popular with some people (particularly suburban dwellers), it may be the only way to avoid environmental disaster as the human population increases. What are your thoughts on urbanization? Are you in favor of urban densification?